The sun was shining, the birds were chirping, and the farmers market in the Historic Pearl District was in full swing. Kids playing in the nearby fountains filling the courtyard with laughter and joy. A band started to play in the distance and like many others I paused and turned my head in their direction. To the locals walking around me it was just another beautiful Sunday in San Antonio, but to me it was one of those magical moments that makes travelling and discovering new places so wonderful. It was only last year that San Antonio commemorated its Tricentennial. In true ‘larger than life’ Texas style the city celebrated their Mexican-American heritage with a yearlong fiesta. And why not? San Antonio is a city on the rise with a lot to celebrate! Not only is it the 7th largest city in the US but it’s also the fastest growing. It is a city that in recent years has seen a boom in economic investment and has poured lots of energy into redeveloping not only the downtown core but its surrounding neighbourhoods like the Pearl District. Today San Antonio is beating out every other major Texas city including Houston, Dallas and Austin for ‘most visited city’ and after spending a long weekend in San Antonio, I can see why. It’s hard to pinpoint the moment during my trip that was the tipping point where I went from ‘liking’ to ‘loving’ San Antonio so I am not even going to try. We all know that when travelling there is no one draw to a destination – maybe you are a foodie who is also an adrenalin junkie or maybe you love history and are in desperate need of some sunshine and hot weather. 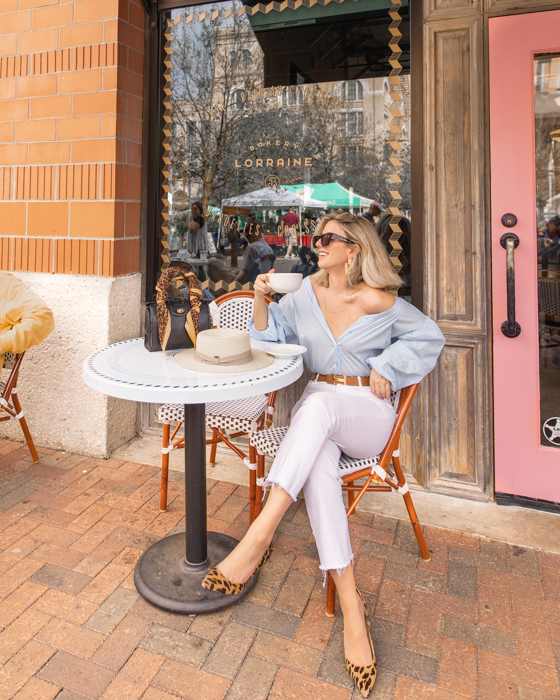 Whatever your style or desire, San Antonio offers something for everyone and to prove it, I have put together a list of all my favourite discoveries from my recent trip! Botika - Calling all foodies! This Peruvian, Chinese and Japanese fusion restaurant in the Pearl District was THE MOST delicious meal that I had while in San Antonio. Having never tried a fusion of cuisine like this before, I was not sure what to expect. Chef Geronimo Lopez surprised me with his uniquely crafted dishes enhanced by spectacular flavour combinations. The restaurant itself is spacious, trendy, and was quite packed on Friday night when we went. I will never forget the evening’s special of squid ink risotto with seared scallops, ahi Amarillo aioli and calamari. Even though it was originally ordered for the table, I couldn’t help myself from gobbling up the lion’s share it was just so good! 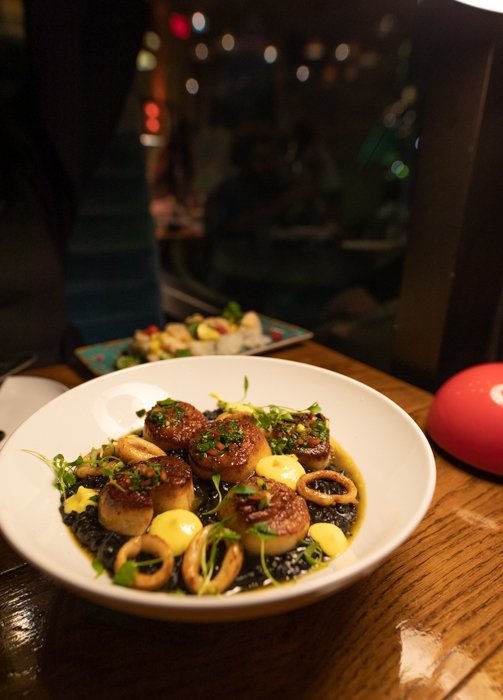 The evening’s special - a squid ink risotto with seared scallops, ahi Amarillo aioli and calamari. Farmers Market at The Historic Pearl District - If you don’t want to just experience the city but actually get a real feel for what local life is like, head to The Historic Pearl District Farmers Market on Saturdays and Sundays. 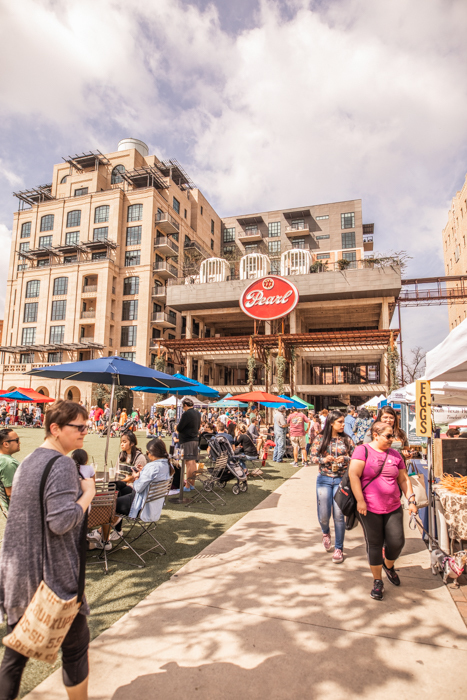 Vendors of all varieties flock to the Pearl District to show off some of Texas’ finest artisan products, freshly baked goods, and fresh produce. It is a great spot for families to take their kids and also a foodie wonderland for adults. I would recommend tying a couple hours here with weekend brunch plans in the Historic Pearl District as a lot of the restaurants are housed in gorgeous partially-resorted and redeveloped old spaces – a major draw of this part of town. Tejas Rodeo – What’s a trip to Texas without a little country music, tailgating, and a whole lot of bull riding? Incomplete, that’s what! 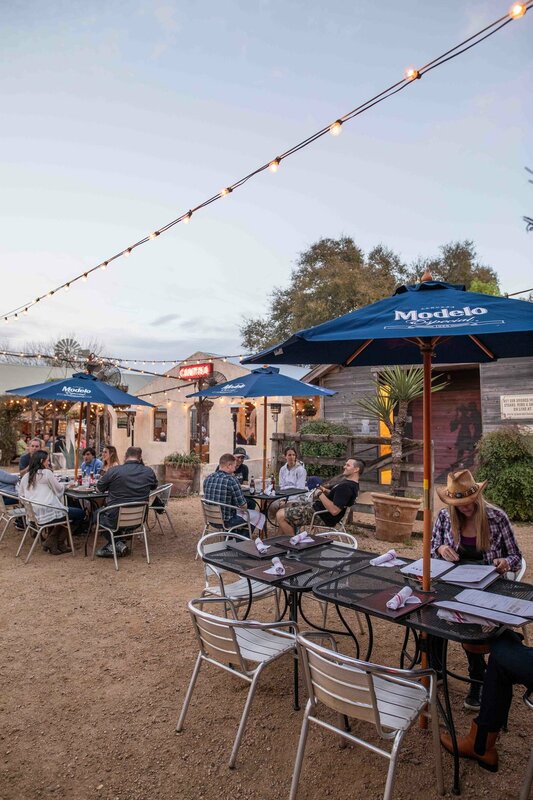 Although considered one of the smaller rodeos in the San Antonio area, Tejas is definitely one of the best for an intimate and casual Texas cowboy experience. 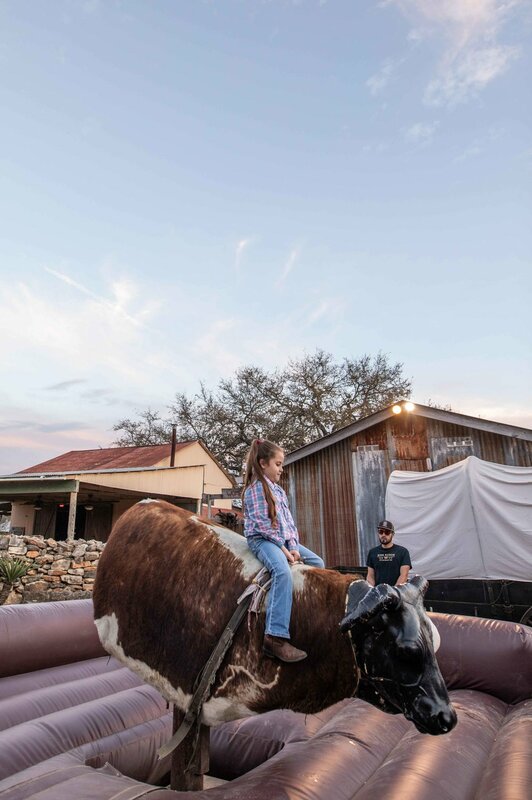 As a long-standing sport in Texas, bull riding is very much ingrained in San Antonio’s culture, and you don’t have to be a cowboy/girl to appreciate it. I was so surprised to see kids as young as 4 jump on the mechanical bull outside the arena and give it their all! And when I witnessed ‘Mutton Bustin’ (when little kids ride sheep into the middle of the arena and try not to fall off) I was instantly mesmerized by how even though there are rough parts to the sport , the whole experience is intended to be fun and playful. Market Square - If you want to see how San Antonians celebrate their Mexican heritage you have to head to Market Square – the largest Mexican market in the US. The plaza that makes up Market Square features numerous specialty shops, restaurants, produce stands, and vendors. The area is entirely pedestrian-friendly and the pathways are lined with ‘papel picado’ flags which add further charm. Musicians, performers, and artists can also be found entertaining visitors who most likely are also enjoying delicious Mexican sweets like warm chocolate-filled churros! 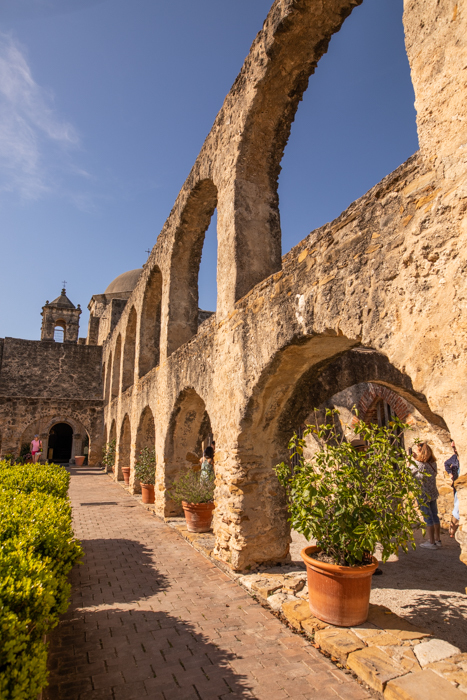 Mission San Jose - So by now you may have figured out that what makes San Antonio so different from its other Texas counterparts is its Spanish heritage. Part of the draw to visit San Antonio is there 5 Missions. Although all beautiful, the one that caught my eye was the Mission San Jose, rightfully known as the "Queen of the Missions”. The mission itself is gorgeous and features old stone archways, rusted iron gates, and sprawling grounds. Although I didn’t get too much time to explore the area I still thought The Mission San José was a beautiful place to visit, take photos and learn about how the city came to be. San Antonio River Walk - Arguable one of the biggest draws to San Antonio is it’s Riverwalk. Considered a city park, the River Walk is actually a connection of waterways (originally a serpentine river the city was established beside) that link many surrounding neighbourhoods to downtown. Charming foot bridges and flagstone pathways provide easy pedestrian access to the numerous bars, restaurants, hotels, and stores that line the River Walk making it a fun afternoon activity and a great place to grab some drinks with friends. Hotel Valencia - Really it should be called ‘Hacienda Valencia’ because they really know how to make you feel right at home (I literally walked around in my bathrobe in the morning LOL). This beautiful Spanish inspired hotel was the first luxury boutique hotel built in San Antonio 16 years ago. The hotel features 213 spacious and contemporary rooms, has Spanish guitar in the lobby Wednesday to Saturday, and has a delicious Argentinian restaurant with gorgeous terrace views of the River Walk. Wifi is complimentary with you stay as well as the morning coffee and pastry bar in the lobby (hence walking around in my bathrobe). Although they do not have a spa they can arrange in room massages and facials. 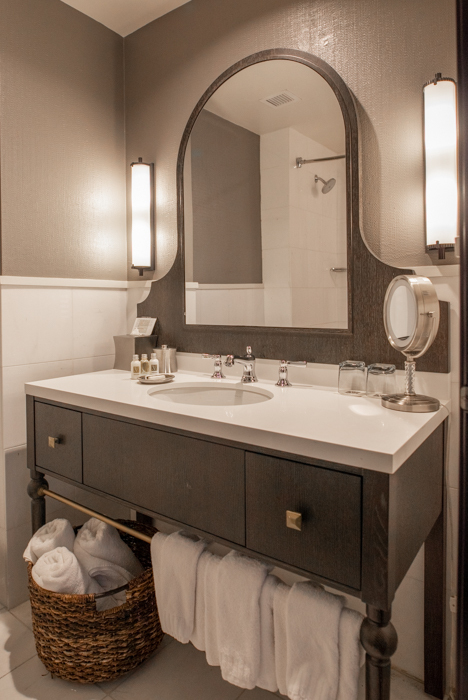 It also happens to be right in the action, nestled against the San Antonio Riverwalk making it the perfect place to stay downtown. San Antonio Botanical Gardens - Perhaps not the first place you would think of when planning a trip to San Antonio but definitely a great one if you are interested in getting outside, enjoying some green space or even trying your hand at one of my favourite activities – photography! 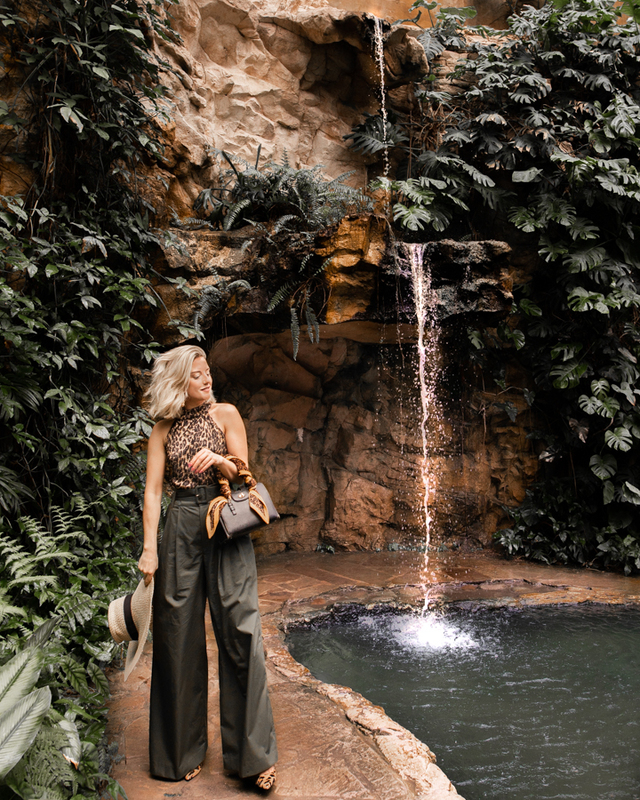 Prior to arriving I fully scoped out the Botanical Gardens on Instagram and became so obsessed with the idea of taking photos there I even planned an outfit ahead of time. They have a couple of enclosed gardens you can explore in addition to what’s outdoors, so there are lots of pretty photo opportunities to be had. In the end I walked away with one of my favourite fashion photos from the whole trip! San Antonio: The Saga - One FREE activity I had planned to do while in San Antonio was check out renowned French Artist, Xavier de Richemont’s captivating video art installation on the facade of the San Fernando Cathedral. I had seen a glimpse of the show online and was dying to experience it live while in town. Although I did make it to the square in time for the show there were some technical issues with the projectors that night and the show was unable to go on. I would still highly recommend trying to go see it as it looks like a great evening activity, especially if you have an appreciation for the arts. ADDITIONAL PHOTOS FROM MY TRIP!